This exhibition celebrates the rich and diverse collections of a group of art and artist trusts and foundations - The Wilhelmina Barns-Graham Trust, The Jerwood Collection, The Ingram Collection and The Fleming Collection - and tells the history of their creation and how they all work individually and collaboratively today. The exhibition also shines a spotlight on key works by female artists and showcases a range of the contemporary artist awards and bursaries each organisation runs. 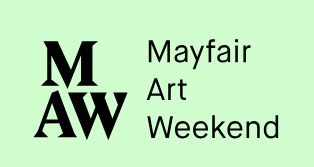 Mall Galleries are delighted to be participating in Mayfair Art Weekend for the first time, bringing you a programme of events & talks during our exhibition The Art of Collecting. Mayfair Art Weekend provides an insight into this unique art district and a chance to experience the unparalleled artistic knowledge, quality and diversity to be found within Mayfair’s and St. James’s art community. Michael Bird, art historian and author, gives a talk on Wilhelmina Barns-Graham and her Contemporaries.